Hi there! Heere’s another Nail Of The Day post. 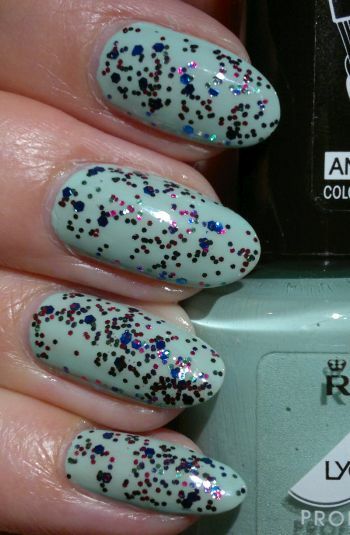 When I did this mani I didn’t want to stamp again, so I decided to use a glitter topper. I opted for China Glaze Fang-Tastic because it looked incredibly pretty in the bottle. However, the mani looked quite odd with the creamy, minty base and the shimmering glitter topper. 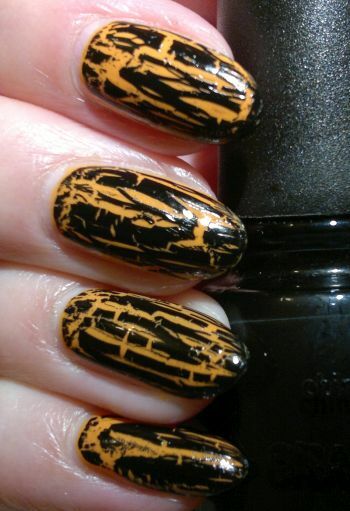 I’m sure Fang-Tastic will look amazing over dark base colours, but this mani was another Nail Fail! For this mani I painted my nails with Primark PS… Nail Polish Marshmallow (pinkies), China Glaze Red Satin (ring and middle fingers), and Astor Lacque Deluxe 880 Forest Green (index fingers and thumbs). The glitter topper I used on my pinkies is Sally Hansen Hard As Nails Xtreme Wear 520 Rosey Shooter. I really like this mani! But I’ve realised that I need a better red glitter topper! Why did I do this mani? Well, I’m a total tennis nut. And Belarus has been my favourite Fed Cup team for quite some time now. Why is that? Well, over the past 2 years the Belarusian fed cup players have shown that they’re true champions. The players have given their all, and they’ve played well above their respective rankings to despatch higher ranked players on a number of occasions. How could anyone not root for them?! Well, I certainly hope they win their tie this weekend! For this Christmas-themed mani I painted my nails with China Glaze Red Satin (ring and middle fingers, thumbs) and Astor Lacque Deluxe 880 Forest Green (ring and index fingers). 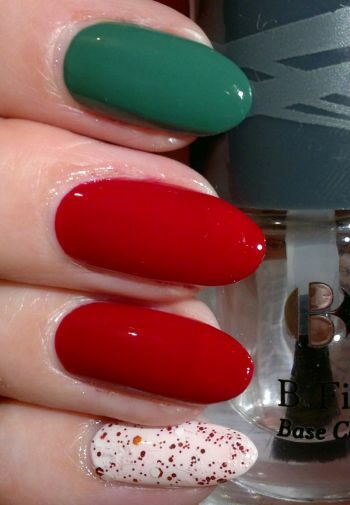 I love these 2 polishes because the colours are 100% christmassey, and the polishes are of great quality. Aesome stuff! 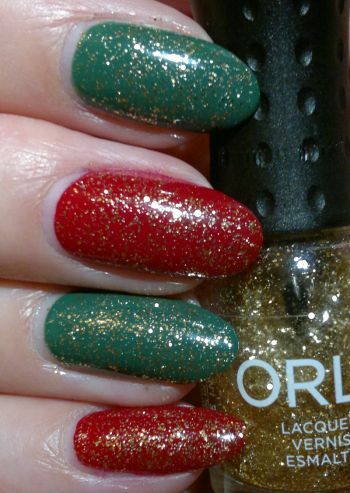 The top coat is Orly Hair Band (1 coat) which is my favourite gold glitter top coat. It’s packed with glitter, it dries quickly and the glitter lays flat which means that my nails feel super smooth.